This day and night ticket allows you to experience the city from the world's most famous building. Experience the 360-degree, open-air observatory under the sun and the sparkling city lights the same night. Experience this world renowned landmark at day and night with this dual option ticket (both tickets must be used the same calendar day by the same customer). See the expansive daytime views and the city lights sparkle that night. The Observation Deck wraps around the building’s spire, providing 360-degree views of New York and beyond. 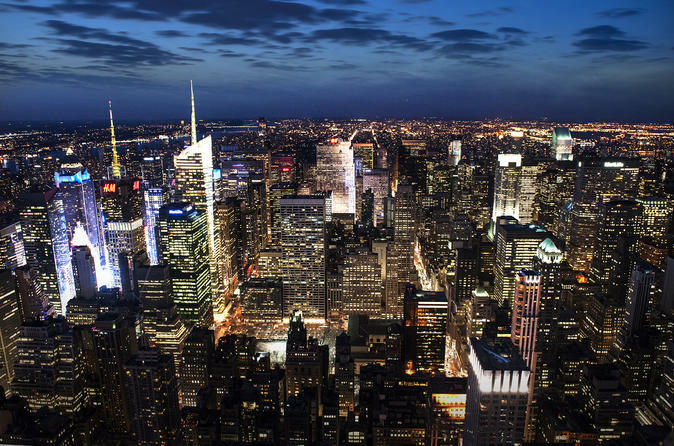 From up here you’ll get one-of-a-kind views of Central Park, The Hudson River and East River, The Brooklyn Bridge, Times Square, The Statue of Liberty, and much more. Download the official Observatory Experience app which teaches you about your view from every direction. Then take advantage of our high-powered binoculars to get a closer look.